The test system use a high voltage power supply to charge a large capacitor (1 nF to 1,000 uF) to a preset high voltage under constant current, then discharge it to a load through a high voltage/high current MosFET switches (current from 20 A to >2,000 A) at RC time constant from milliseconds to microseconds. The discharge waveform is captured by an oscilloscope and stored in a computer. 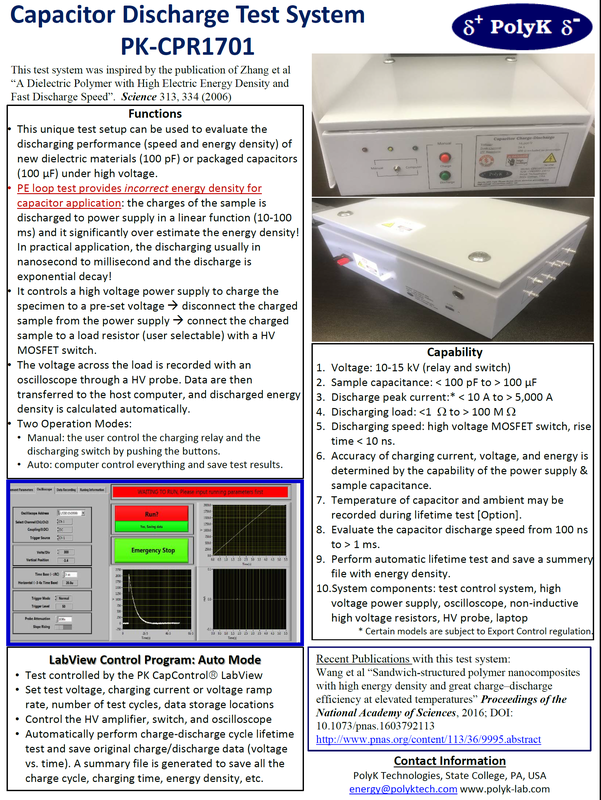 The LabView program will also generate a summery file with charged energy, voltage/current (vs time), capacitance and discharged performance, as well as original charging and discharging waveforms. Two thermocouples can also be added to monitor the ambient and capacitor temperature change during the test. 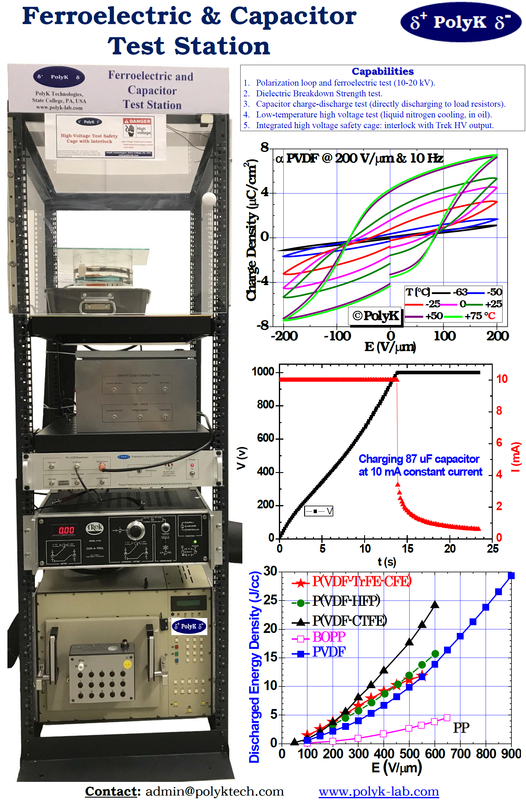 This test system can be used to evaluate the performance of various dielectric materials (single layer, both surface metallized) or prototype capacitors (uF to mF). 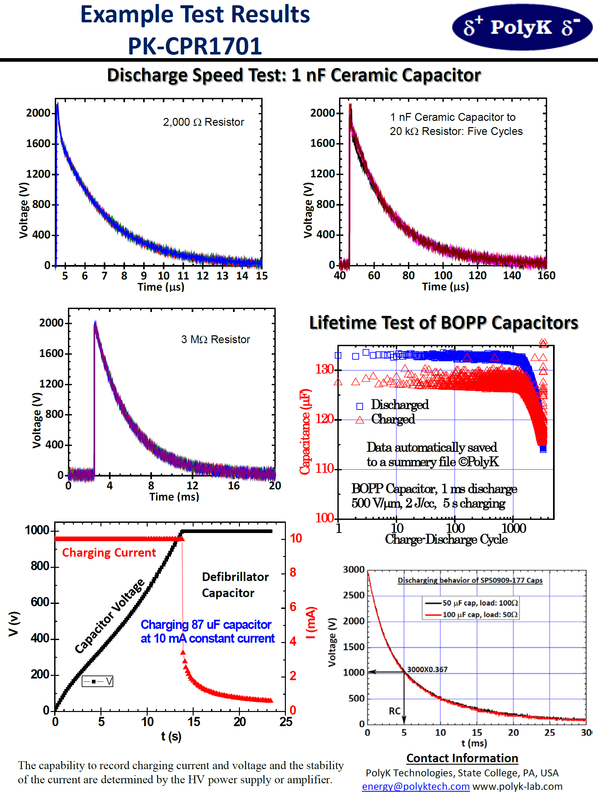 It provides direct discharging performance with well defined load. Here is copy of the Brochure of this test system.